What is the best kratom you can utilize for your well being and fulfillment? Well, it depends on what you are using the best kratom strains for? Certain strains is excellent for easing pain and others are phenomenal to increase concentration. You’ll also need to choose the correct types of kratom to get the best experience. Maeng Da, Bali, and Borneo is commended for being powerful kratom strains. Do you desire to seek the most powerful kratom fit for your needs? Stay with us while we go further into detail below. Maeng Da is stronger and has more active alkaloids than other strains. The Maeng Da kratom offers a good combination of energy boosting and pain easing effects. Unlike other strains– Maeng Da is known to be a fast strain therefore you will feel the effects quicker. Pick the right colored vein and you’ll have the results you want. Why Is Maeng Da One of The Best Kratom? Maeng Da is distinctive and delivers you many benefits. It’s known to diminish anxious thoughts, increase your mood, boost energy, and offers a sense of euphoria. If you want one of the strongest kratom, this strain is for you. Red Maeng Da is relaxing and recommended to be used at night. Stimulating strains like White Maeng Da should be used only during the day so you can fall asleep at night. There are different types of kratom strains available including Sumatra Kratom, Borneo Kratom, Maeng da kratom and etc. Each kratom type suits different situations. You need to choose the product that suits your needs. Bali is one of the standard kratom for years because it’s effective. It is lighter than Maeng Da therefore recommended for beginners that still want something great. Red Bali is a customer favorite, users report it lasts longer than most kratom strains. What Makes Red Bali One of The Best Kratom? You will get a variety of effects such as easing pain, mood lift, and relaxation. Red Bali is also effective for easing opiate withdrawal. You want proper grown and harvested Borneo kratom. Naturally cultivated kratom offers magnificent aroma. What Makes Borneo One of The Best Kratom? Borneo is highly relaxing due to the high levels of 7-hydroxymitragynine. Pick red borneo if you want a relaxing experience you will remember. This alkaloid provides aromatherapy benefits such as pain relief and mood lift. A lot of users utilize kratom to ease pain. If you’re seeking that result, Borneo should also be high on your list aside from Red Maeng Da. Red Borneo kratom is also an excellent option for opiate withdrawal. The alkaloid you want a good amount is 7-hydroxymitragynine which helps wean off pain effectively. Red Maeng Da, Red Bali, and Red Borneo is filled with 7-hydroxymitragynine. We recommend you to begin with one of these strains. We recommend 100% to switch strains from time to time. Red Maeng Da is the most popular kratom for pain. However, Red Maeng Da is more stimulating and energizing. If you do not want a stimulating strain go for Red Borneo or Red Bali. What Is The Best Kratom Color To Ease Pain? Red vein kratom is loaded in 7-hydroxymitragynine than other colored kratom. The red vein works well to get through the day without stress. 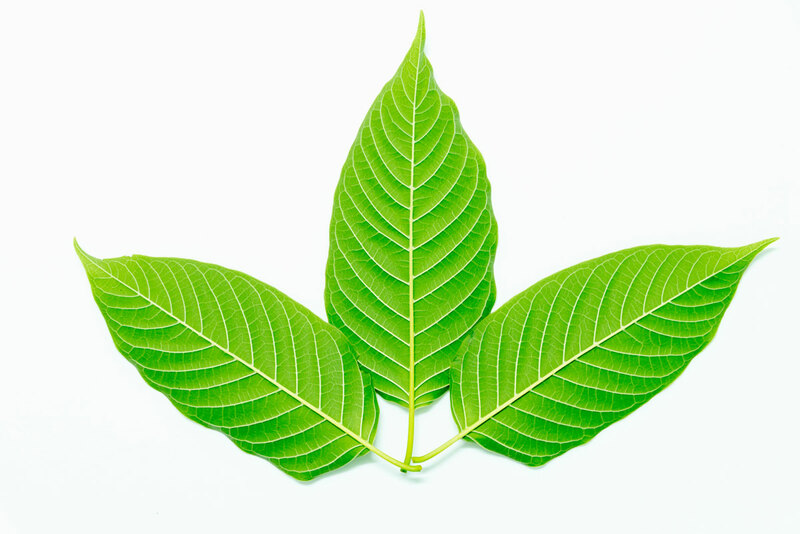 Maeng Da is considered one of the best kratom strain for euphoria. If you want mild euphoria you can utilize Green Malay or Green Riau. Green Malay offers unique feelings of euphoria and has a longer duration than Maeng Da. Before you utilize kratom via aromatherapy, you need to decide on your schedule. A kratom schedule that you will follow when using the product. Once you have defined the schedule, you need to stay consistent with it. We recommend alternating kratom strains from time to time to maintain maximum results. Experiment with the different strains and vein types to get the most powerful kratom results. This way you’ll see what strains and vein colors work best for you. Here it is, the three best kratom stain type you can utilize. You can switch up to a different strain to give yourself a new experience. 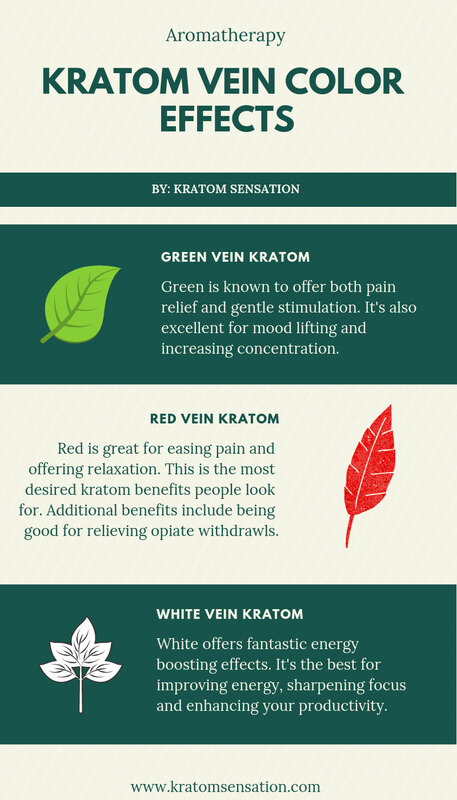 Choose the right kratom vein color for your needs. White vein kratom boosts energy and motivation. Red vein kratom eases pain and provide relaxation. Green vein kratom offers a mixture of both. 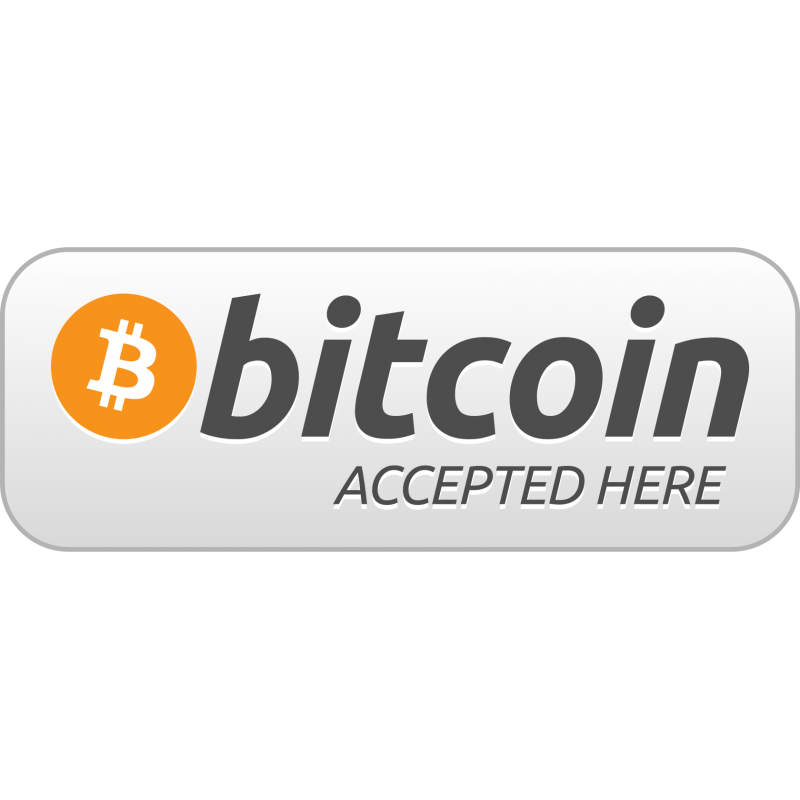 Now you can shop top quality kratom by clicking the button below.